Looking for a toy for your son, nephew or a friend’s son? Think you won’t have the coolest toy if it isn’t a smart device or video game? We’ve compiled some of the coolest toys for ten-year-old boys. Each one isn’t just a frivolous toy, either. 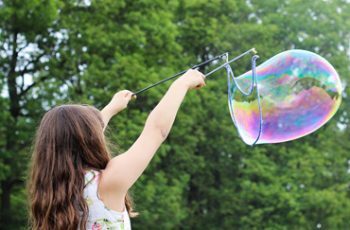 They address different parts of the STEM, 21st-century skills, and get kids playing outside. You can feel good knowing that not only will you be bringing the coolest toy to the party, but it serves a higher purpose in his development. This isn’t the LEGO of your childhood. This is 21st-century skill building LEGO. 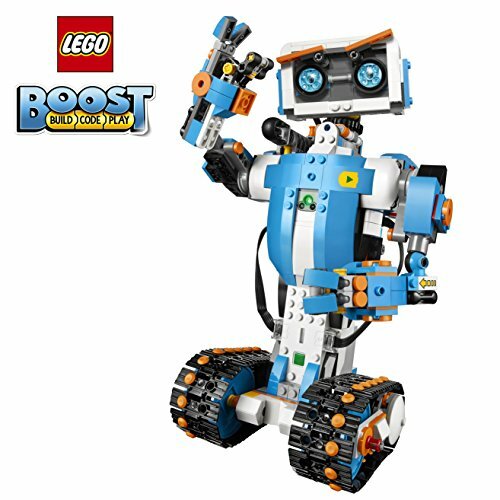 This kit comes with 847 pieces and builds a robot that can be controlled by code. Vernie is a personalized robot with a programmable personality and will teach kids valuable coding skills so desired in today’s world. Each model is interactive and includes distance, color, and tilt sensor technology. It can move in all directions and talks. Vernie isn’t the only possible model either; kids can disassemble Vernie and build an M.T.R.4 (Multi-Tooled Rover 4), Guitar4000, Frankie the Cat or the AutoBuilder. It requires the use of a smart device. IT is compatible with selected iOS, Android, Kindle and Windows 10 devices with BLE 4.1 and newer. Robots that talk and move and shoot darts all at the whim of the creative coder. It’s Transformers in real life. 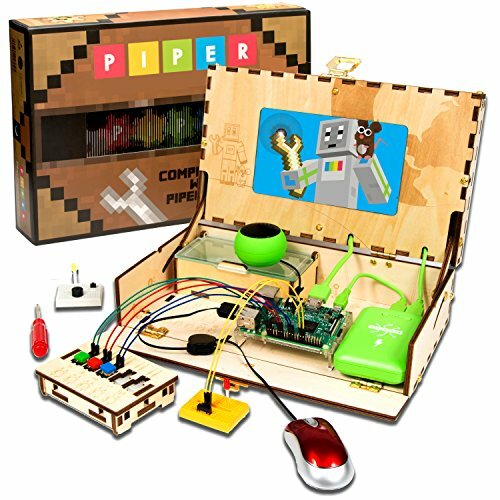 Don’t just play Minecraft, build your computer and solve your puzzles. This is a personalized computer that teaches tech skills and allows kids to be hands-on with their technology. Raspberry Pi edition of Minecraft. It’s a self-contained computer running on Raspberry Pi 3 Project Board with 1GB RAM, 1.2Ghz Quad Core CPU, and Wifi Capabilities. Replace passive touch screens with hands-on controls and the ability to modify the system based on what he’s trying to build. It’s a combination of engineering and coding training through the use of storytelling. 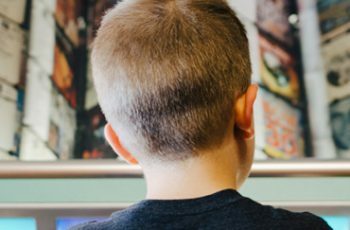 Kids already familiar with Minecraft will take their game to the next level as they solve problems, create new programs, and become their own coders. This is next level Minecraft beyond the touchscreen. His personalized computer won’t be like anything his friends have seen. Stomp rockets are exactly what they sound like. Kids run and stomp on the lever and propel the rocket up to 150 feet in the air. If that sounds very simple compared to the previous two entries, you aren’t wrong, but this is meant to get kids outside and active. The simplicity of the rocket is that there are few parts to break, and nearly any kid can use it. 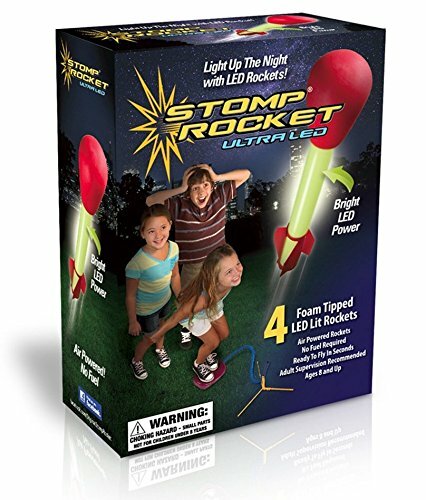 The rockets themselves come with LED illumination so they can stand out, and it’s particularly fun to play after dark. The rocket itself doesn’t need any batteries, just kid-powered fun. Why he’ll flip: Light up rockets that go up to 150 feet powered by stomping. It’s everything ten-year-old boys love about the world. It’s also a STEM toy, teaching basic physical science. Every boy needs a dart gun, but he can rebuild this one into several different configurations based on his mood and preferences. With Elite darts, it can fire up to 90 feet. It comes with stock, stability handle, barrel extension, 12-dart Quick-Reload Clip, 12 Elite Darts, and instructions. 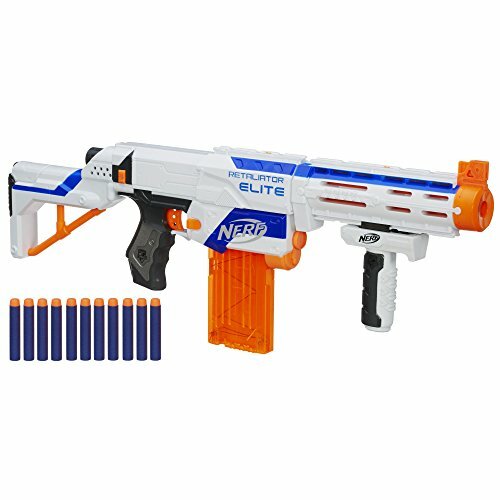 He can easily remove the stock for active play, and the barrel has top and bottom tactical rails for added accessories. It works with most N-strike accessories. The quick dart reload kit means that the action can happen faster and longer. The gun is customizable and has an automatic reload function. He’ll be the quickest draw on the block. This is a skateboard, snowboard hybrid that can support up to 220 pounds. Its unique carving action mimics the feel of snowboarding but on dry land. Kids can manipulate the motion of the board to jump quickly, spin, and do tricks. It has two wheels mounted with 360 degree turns, sturdy traction plates and subtle movements propel the board even uphill. 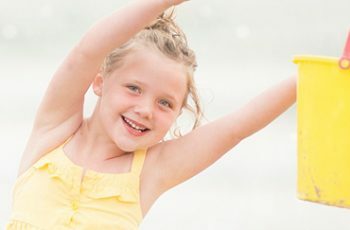 This allows kids to work on their motor skills and get plenty of exercise outdoors because manipulating the wheels requires core control and muscle coordination. This “skateboard” is unlike anything seen before in the world of skating. It’s something straight out of a sci-fi movie and is fun to operate on any type of pavement. All kids want some privacy in their rooms, but this goes way beyond the “keep out” sign. 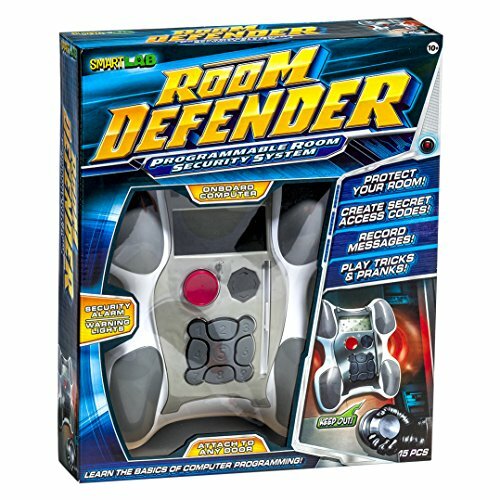 This is a functional room defender with security alarms, lights, and secret access codes. He can program the security codes and had out exclusive key cards to those allowed to enter. He can also record personal greetings for friends and family. The universal door mount attaches to any door for easy installation. He’ll learn basic programming to operate the room defender, which fulfills the technology STEM requirement. There’s a 24 page manual with coding instructions to help him get started. Room alarm? Check. Top secret codes and keycard access? Check. Variety of alarm sounds? Check. Room privacy? Priceless. This is a powered tricycle that can function without pedaling at speeds of up to 9 miles per hour and 30 minutes of continuous use. It cuts 360-degree spins, slides, and can even perform drifts. The battery is rechargeable. It has foot pegs and safety brakes. This is another toy that will get him outside and playing. It allows him to race, maneuver the bike just like a real vehicle and head out faster than any of his friends without having to pedal continuously. The low center of gravity prevents it from tipping over as he performs his tricks. Why he’ll flip: It’s every boy’s dream to own a dirt bike, and this can introduce him safely to the world of speed without the danger of two wheels. All boys go through a Sherlock Holmes phase. Encourage critical thought by giving him all the tools he needs to investigate a scene and make conclusions from the evidence. He can create composite IDs, take fingerprints and learn codes. 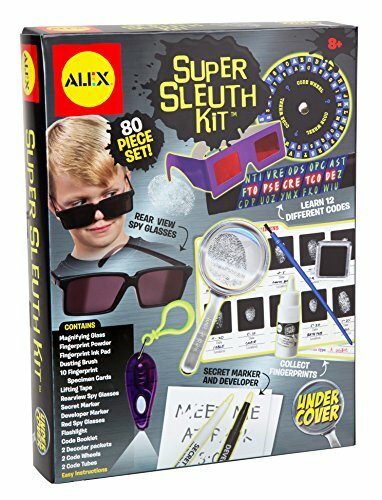 The pack comes with a magnifying glass, fingerprint supplies, rearview spy glasses, secret markers, flashlight with batteries, code sets, and easy instructions. He can learn deductive reasoning skills and observation, an essential part of creative play. Dramatic play is an essential part of learning critical thinking, and this pack allows him to think outside of the box as he both creates and deciphers secret codes. He can also put information together, which is a 21st-century reasoning skill. He can be his own super spy detective with cool looking tools that serve a valuable purpose. The last toy on our list is his very own drone. The magic of flight is probably something he dreams of, and now he can pilot his very own multifunctional drone. 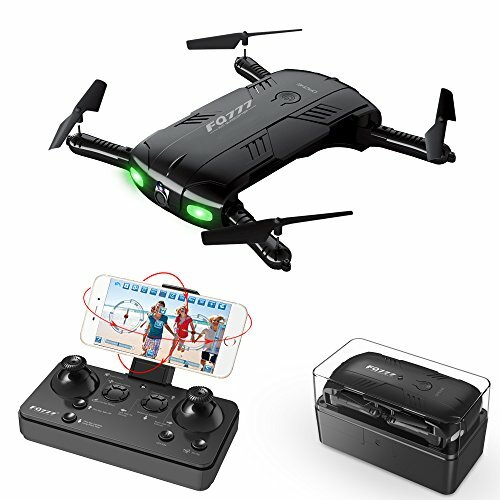 It features a 6-axis gyro based on four channels to ensure a stable and fast flight. Left-hand control and one button take-off and land function make it easy to control especially for beginners. It also has a one button return to home function for out of sight drones, so you never have to go looking for it. You can also operate it headless, meaning the drone can flip without regards to its front. This is the ultimate dream for boys, especially ones with aspirations of being pilots. It’s the coolest toy on the block and teaches them valuable motor skills. It’s a flying drone that can turn, flip, and maneuver. If you’ve ever seen how excited a young boy gets with a remote control car, you can imagine how excited he’ll be to fly. Whatever you choose, he’s going to love it. His toys can build valuable skills without him even knowing you’ve given him something “educational.” Take advantage of his natural curiosity and let him explore his world. Which toy did you choose? Let us know in the comments and tell us how he reacted!